Incorporating lighting into architectural signage can be done to enhance the signage design, promote brand identity, and improve wayfinding information. No matter what the reason, choosing the right lighting solution is important to the long-term function of the signage solution. The most commonly used lighting solutions are LED strings and panels, fluorescent tubes, neon tubes, mercury vapor lamps, high intensity discharge lamps, and high-pressure sodium lamps. Determining which lighting solution to use is actually quite easy if you adhere to the “form follows function” architectural principle. For example, it would be wrong to use strings of LED lights on a tall exterior monolith sign when a single mercury vapor lamp or a few energy-efficient fluorescent tubes will illuminate the sign. 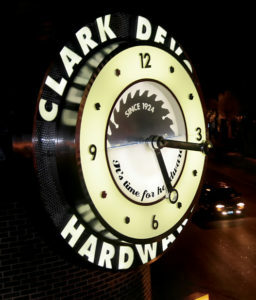 Lighting architectural signage for brand identity purposes is usually about ensuring the organization’s color scheme is properly presented or ensuring the logo can be seen at all hours of the day. The lighting solution depends on the form and shape of the signage solution. Typically, LED strings are best for illuminating dimensional letters and logo signs because they conform to the shape and they can create a halo effect or light the face of the sign or a combination of both. In addition, LEDs are available in white, blue, red, orange and green colors, which helps when color integration is important. However, when internal illumination of translucent panel faces on monuments and monolith signs is needed, fluorescent tubes are still a viable option. Recent innovations in high-intensity discharge lamps have allowed this solution to also become an alternative to fluorescent tubes for lighting large cabinet monument and monolith signs. When external spot illumination is needed, there are a variety of flood lamps and spot lights available which can be mercury vapor lamps, multi-LED embedded panels, and high-pressure sodium lamps. 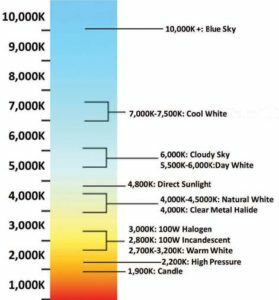 When lighting is used as part of an environmental graphic design solution, the lighting choice is typically driven by the color temperature that the light produces and how the solution fits in the environment. The most important factor for effectively communicating a wayfinding plan is an architectural signage solution that can be easily seen at all hours of the day, regardless of lighting and weather conditions. Creating a sufficient color contrast through contrasting paint colors is usually the best way to ensure the wayfinding message can be seen. However, when conveying directional and identity information is paramount, then a lighting solution should be integrated into the sign.